Being Retro: Rock and Roll or I just don't Get it, Do I? 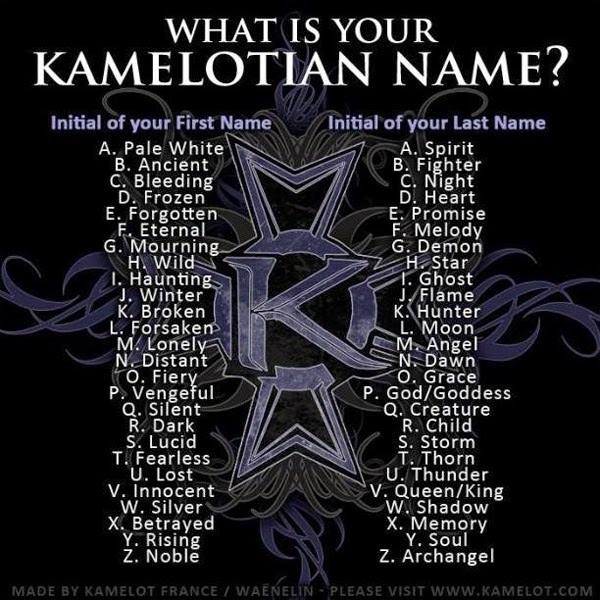 Oh I love this… I'm Winter Goddess - oh yay! I'm all down with that! Pale White Knight? But Ninjas only wear black! Pale White Night... it's over more on how you move in the Ninja ways in the dark... yeah I am going with that. Frozen Shadow..."Who knows what evil lurks in the hearts of men? The Frozen Shadow knows!" you got the coolest of names, Dave! …indeed he is… and Dezz, it suits you too! I agree it's generous and lonely is like a stage name... in a rock band. Lonely angel works but I'd have to go emo. Have a good weekend Jeremy!